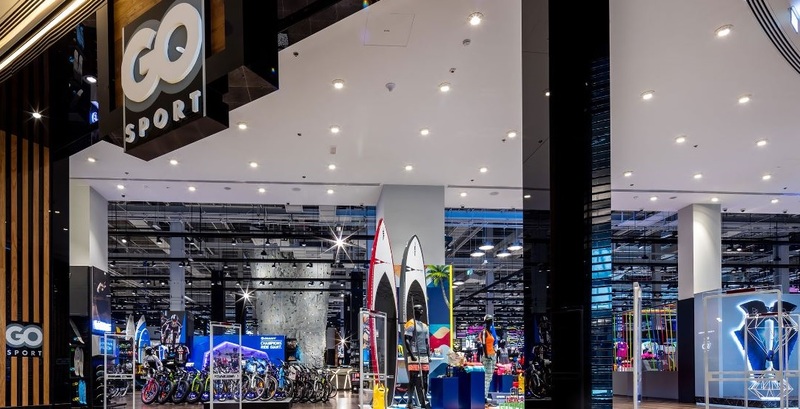 A premium multi-brand sports store, brought to the Middle East by Al Mana Fashion, Go Sport offers a wide range of apparel, footwear, equipment and accessories for a variety of sports and activities. 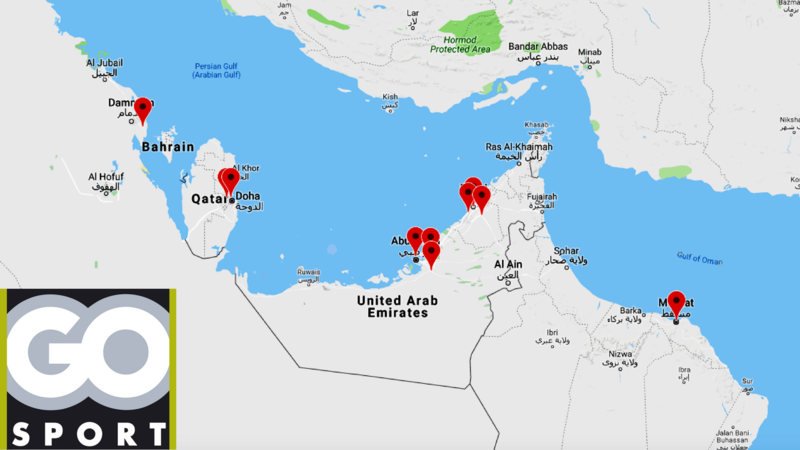 Go Sport operate in a number of countries across the Middle East, and have been using Myagi since the start of April 2018, to help overcome persistent challenges affecting their training department. When Tom Foley became General Manager of Al Mana Fashion Group’s Sports Division he brought a wealth of knowledge and experience in the field of sales associate training. From his time as General Manager of Intersport UK, Tom had been a lead figure in the implementation of Myagi across their retail outlets, and from the successes he saw in the UK he has already overseen a huge change in the training practices at Go Sport. Lead by Krystia Paddayuman, L&D Content Developer, Go Sport have managed to more than triple the amount of brand training available to sales associates in just three months. ‘’Tom was really keen to enhance our training department’’ started Krystia, ‘’we were struggling at the time with the ballooning costs of our face to face training operations, and Tom was keen to find ways we could continue to have training as a top priority for the business but trying to keep some control over the costs’’. With Go-Sport trying to deliver training across their territories in Dubai, Oman, Qatar, and Kuwait by visiting stores or bringing store colleagues to their Dubai training room, it became clear that the scaling of face-to-face training was becoming an unsustainable task. In the midst of diplomatic issues between some of the regions Go Sport operate in, Krystia recalled- ‘’We had to look at how the business was spending and the financial cost training was having on us. Take a normal classroom training session. We had to take people off the floor, meaning fewer people looking after the customers. And of course, we then pay for their transportation. We provide them food plus all the training materials printouts, folders etc. So there’s all of these costs to consider and it’s a massive cost. When the crisis happened in the Middle East between Qatar and the UAE, costs for some things almost doubled! Tom picked up on that, and that was one of his priorities - to be more cost-efficient without sacrificing the training of our store colleagues’’. Tom Foley, being familiar with the Myagi platform recognised that an online training solution would mitigate many of the pain points that Go Sports L&D team were experiencing. Krystia was tasked with implementing Myagi across Go Sport stores in the Middle East. After a period of preparation, working closely with the Myagi Customer Success Team, Go Sport went live at the beginning of Q2 2018, and the results have already surpassed both Myagi and Go Sport expectations. In fewer than 8 weeks, over 550 hours of training has been undertaken by Go Sport store colleagues. The ease and accessibility of implementing Myagi has also allowed Go Sport to leverage their brands to offer a wider selection of product knowledge to store colleagues. Krystia continued, ''Another thing we have really been pleased with through Myagi is the visibility we now get on training. When brands deliver live training, we can’t guarantee consistency and it was hard to measure the knowledge retention of store colleagues, and we would even get feedback from our associates that they couldn’t remember everything they had learned. Managing Myagi, I now not only have visibility on all the content my store colleagues are training on, I also have live analytics and data to let me know how much they enjoy it, how much they think they are learning and how engaged they are. We use this data to set KPI’s for store managers and also compare it to our sales data so we can get an accurate measure of our ROI and also where training needs to be focussed’’. Krystia was complimentary about Customer Success Manager Sam Parsons who helped to guide Go Sport through the setup and on-boarding process that led to such an emphatic launch. ‘’We were quite unfamiliar with the online possibilities of training, so it was a great help having someone like Sam guide us through the process. On his advice, we phased our launch on the platform. Starting with just the store managers so that we could all get used to the platform and for them to be familiar with it when it came to training their team. Sam came over and presented to all our managers to make sure they fully understood the platform and how to set their teams up for success on Myagi. We wanted to make sure managers led by example and had completed some of the training before their teams joined. Inviting sales associates was as simple as importing their email addresses and they were learning in minutes’’. After an emphatic start, Myagi is extremely excited to continue supporting Go Sport as they expand their brand connections and begin to offer and develop their own content strategy, aimed at building a connected company culture across all their territories. Krystia concluded, ‘’It’s fantastic. As a business, we’ve benefited a lot from it. We have faster delivery on all of the courses that were available, and our suppliers are really happy about it as well, store colleagues have really engaged and it’s making us a stronger business. I've been able to track brand sales against the release of new training and there are definitely examples where we can see training releases having a really positive impact on sales. There are a lot of factors to consider when looking at the definitive ROI, but the sales total speaks for itself''. An example of Go Sport content that connects the buying team directly to front line associates to develop their understanding of the product offering.